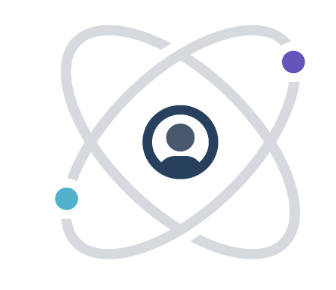 Rollbar helps development teams find and fix errors faster. Quickly pinpoint what’s broken and why. View exceptions from all of your languages, frameworks, platforms & environments in one place. Get context & insights to defeat all errors. Bugsnag captures errors from your web, mobile and back-end applications, providing instant visibility into user impact. Diagnostic data and tools are included to help your team prioritize, debug and fix exceptions fast. Airbrake collects errors for your applications in all major languages and frameworks. We alert you to new errors and give you critical context, trends and details needed to find and fix errors fast. Why do developers choose Sentry? Why do you like Sentry? Why do developers choose Rollbar? Why do you like Rollbar? Why do developers choose Bugsnag? Why do you like Bugsnag? Why do developers choose Airbrake? Android Application to view errors. Why do you like Airbrake? Why do developers choose Raygun? Why do you like Raygun? What are the cons of using Sentry? What are the cons of using Rollbar? What are the cons of using Bugsnag? What are the cons of using Airbrake? What are the cons of using Raygun? How much does Sentry cost? How much does Rollbar cost? How much does Bugsnag cost? How much does Airbrake cost? How much does Raygun cost? What tools integrate with Sentry? What tools integrate with Rollbar? What tools integrate with Bugsnag? What tools integrate with Airbrake? What tools integrate with Raygun? What are some alternatives to Sentry, Rollbar, Bugsnag, Airbrake, and Raygun? Team Rollbar--I LOVE you guys and your wonderful service! This review is far too long overdue. Let me save you a bunch of time and make the decision for you. If you're not already using an error tracking platform, you must. If you're deciding between which services to use, just go with Rollbar, and stop deliberating. Rollbar is hands-down, THE BEST full-stack application error and exception monitoring/tracking system. I was an early user and first started using Rollbar in early 2012 (back when it was still called Ratchet.io). Suffice it to say, it has completely transformed and leveled-up the way I build and write applications. Rollbar is now a must-have for any application I build. TDD? Yeah, could do that, or you can just be more lean and start building, and Rollbar will catch all of your exceptions for you. Large team? Even more so that you need Rollbar, so that you can detect and fix errors before they inconvenience your users. Rollbar has an exceptional, world-class team. Rollbar is built by engineers, for engineers. I know because I've worked with a few folks at team Rollbar, including the founder/CEO Brian Rue, who has been a mentor and advisor to me at a few startups, and some of my elite former colleagues who were hand-picked to join the Rollbar team. They are extremely talented hackers and engineers. Rollbar scales, an is extremely reliable. We're not just talking Mickey Mouse pretend scale, but they actually do. Guess what? Unlike most of the rest of the web, they're actually NOT primarily an AWS-based stack (yeah, because AWS outages can cause large chunks of the web to fail). Rollbar is in multiple data centers across the world for improved latency, durability/reliability of data. Rollbar is extremely easy to integrate and very well documented. There are modules/agents for just about every stack and programming language. A basic setup takes 5-10 minutes. Rollbar is thoughtful. In the early days of Rollbar, data wasn't scrubbed so potentially you could see sensitive information in the notifications you got. Now, they've significantly improved the reporting agents and UI so that sensitive information can be scrubbed before sending notifications, and additional sensitive/PII fields can be configured in the interface. Rollbar beats the pants off of their competitors. The primary competitors I'm thinking of are Sentry and New Relic. New Relic is more for infrastructure than application, and often, infrastructure smells and problems are code problems. In terms of budgeting or planning IT spend, I would maximize spending on Rollbar and maybe some more basic infrastructure monitoring like hand-rolled Nagios or even Datadog (which also totally rocks, btw) instead of New Relic. As for comparison with Sentry? See next bullet point. Rollbar is an adult, whereas Sentry** is a kid. Sentry came out of Disqus, and was built by designer-engineers. Don't get me wrong--they have good engineers, but not as good as Rollbar's. I don't care if Sentry is more popular atm or if the UI looks better; I want to know that I can have absolute confidence in my error tracking platform and sleep better at night. If error tracking services were facial hair, Rollbar would be a full, lush beard, and Sentry would be the teenage kid with sporadic prickly hairs here and there and some peach fuzz on the side. Rollbar doesn't rate-limit by default, which means you get all of your exception occurrences notified and tracked. It is 4K Ultra HD, if you will. (Though, to help manage costs and temper noise, you can set custom rate limits per API key--this is so powerful!) Sentry rate-limits by default, resulting in "sampling" error tracking which isn't full coverage and leaves you erroneously thinking that your app is in better health than it actually is. Rollbar is "multi-tenant" (similar to GitHub) in the sense that you can have one user account affiliated with multiple organizations and projects. This is a nice added convenience. Rollbar is enterprise-ready and has on-premise deployments. As of this review, it's 2016--why aren't you using Rollbar yet? If you're still trying to hand-roll your own error logging system, I would seriously question you or your company's technical competence. The gem providing Resque support is developed by a third-party and doesn't seem to get much use (1 watcher and 4 stars as of the time of this review). Honeybadger provides native Resque support in the official Ruby gem. There doesn't seem to be any search functionality on the documentation page. No documentation and a slightly unintuitive workflow for one of the integrations we use. Overall, Rollbar looks like a solid service that was easy to set up, easy to use, and has some powerful features for searching through past error data. We're looking forward to making the switch. Rollbar became a must for me in post-deployment exception handling and production-related problems debugging. You can manually report anything you want, this feature helps a lot in debugging production-related bugs. You can also attach a custom payload to be inspected in the dashboard later. You have a very rich documentation to read, but actually you'll just need the first 2 paragraphs to go ahead with it! For me as a rails developer i found a lot of helpers related to rails like: Capistrano deployment hooks, ActiveJob integration, Async error reporting and Rails booting error handling. You don't need to refresh the page each time to see the new exceptions, everything is real-time ! You can use Rollbar for free to try it without getting engaged in any financial operation, and you can also keep using it if your rate is under 5000 report per month. I had a very good experience with their support, they respond in a short time and give flexible solutions. The service has been easy to use and reliable. It's very well documented, and was easy to integrate into our stack. Obviously, you only get out of the error messages what you put in. They will log the person's IP, user agent, etc, but you will need to use descriptive log messages to know what's going on and where. We are interested in converting some of our APIs over to rollbar as well to try to get a more wholistic view of errors as they happen. This is a very good service and I recommend them. The guys from Rollbar made very useful error monitoring service. We have implemented it in our startup weblium.com. This allowed us to see all errors centrally in one place and now our site has become significantly more stable than it was previously. 1. Reporting all exceptions and errors We just add simple Rollbar code and it catches all unhandled exceptions. Very useful and simple feature, that we use. 2. Custom error reporting. We add some asserts on the most complex part of the code, to catch potential logic errors at the very beginning. 3. Real-time log. When you have to test the production. Instant error logging helps save time. 4. Assign Owner Each error can be assigned to the developer and can be marked as resolved when done. Very useful. 5. RQL Console The new tool, it allows us to create detail data queries. Very powerful tool for the analysis of problem areas in our code. We have a very good experience with Rollbar. I highly recommend this service. I've used Raygun to track errors in HTML5 apps and WordPress themes. The integration was smooth and I was set up in minutes. My only qualm at first was that I was going to get spammed to the eye-balls with errors (especially with some of the unhandled errors in WordPress plugins!). Thankfully, Raygun gives you fine control over notifications and conveniently groups all the bugs being reported. Since setting it up, it has saved me a lot of time and headaches, and I rate it very highly. I've never had to use the support, as I've never had any trouble with it, but I'll assume it's Great! BugSnag's customer support has gone above and beyond for me! They got me a free shirt, and I am veyr impressed by thier error management system. Easy to work with, and makes location errors I may have missed quick and easy! It is really fine if you do not mind paying a bit. Much more reliable and better designed than the competition. Open source code for iOS tracker, helps a lot. Excellent online support. Raygun saves us so much time we're hooked for life. Great support too. Lots of companies I respect were using it + open-source + great features and UI. Went for the hosted version, since it plays nice with Heroku. I like how they group together similar errors, give you the ability to mute events or mark them as solved. P.S. check out the Founder Stories feature we did on Sentry if you want to know how they started, its an awesome story. We've only just added Rollbar but it's shaping up well. Being able to collate all of our errors with stack traces along with the current user and time is going to save more time you could ever imagine as we currently have to troll through docker logs one after each other just to find a single error where as with Rollbar we can easily search and even be alerted when something goes wrong. At RadioCut.fm we think it's a no-brainer to use Rollbar: the pricing is a perfect fit for us, we like the different groupings, even the "People" tab where the errors are grouped by user, and many more things! Thanks Rollbar, keep building an awesome product! The error and event tracking in Sentry is superb. Being able to assign the raw error to people along with all information at the time the event occurred means that we're tracking and fixing problems before they become apparent to customers. We use the self-hosted instance of Sentry. Sentry is a very powerful error reporting tool. We use it both on front-end and back-end of Ataccama One. It proved to be invaluable in providing insights on our errors - what caused it, what user did before the error occured, stack trace, release tracking and more. Rollbar handles any unhandled exception, express route error, and any log entry of level warning or error. It notifies our slack ops channel and is integrated with github to allow us to create issues directly from reported errors. We use Sentry to gather our thrown non-checked exceptions in one place, so we don't have to crawl through all our logs manually. All standalone-applications, our website aswell as our game-servers are linked into sentry. We use Rollbar for exception tracking. It’s fantastic. I've used other things, but Rollbar is just really, really fast. Their speed at development is amazing. The features, you can tell it’s developers building it. Sentry is amazing, most of our systems send their exceptions to sentry. We couldn't live without it and get a much better understanding of how our code is behaving in the wild. Plus it integrates with Github. we used raygun at talenthouse to track errors within our codebase. fairly decent tool, simple ui. even helped the raygun team track down a few issues as we were using their scala integration library. Efficiently trace and detect errors in the stack without having to explicitly setup error tracking for each action. Bugsnag provides Rails and Sidekiq error tracking with email notifications on exceptions. A bug tracker and error tracking software integrated with our core product. I use to create tasks in Jira and notify me in HipChat! Report and bug analysis on production environment. 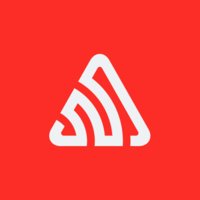 Airbrake is used for some of our API and UI code. Tracking errors and exceptions that occur.